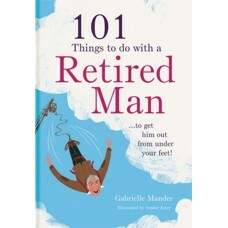 101 Things to do with Your Retired Man… to Get Him Out from Under Your Feet! After a lifetime of marriage, you and your bloke now have your golden years to spend together in blissful retirement – not! If he’s always around the house and you are at your wits end, it’s time for you to rediscover what you loved about him in the first place. With this book you will find everything you need to organize your life, and get tuned in to what the kids are doing. Retirement is the perfect time to learn a new skill, get in touch with old friends, and explore the great wide open, so get out there and get started! 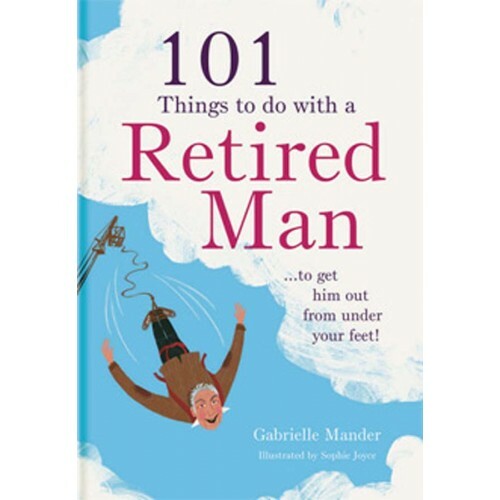 This hilarious look at retirement is cheaper than marriage counselling and the perfect stocking filler this holiday season. Your golden years will suddenly look much brighter after you’ve figured out 101 Things to Do With Your Retired Man.